Left little Vincent with Grandma Jerrie today and went to hang with the Aussie crew. 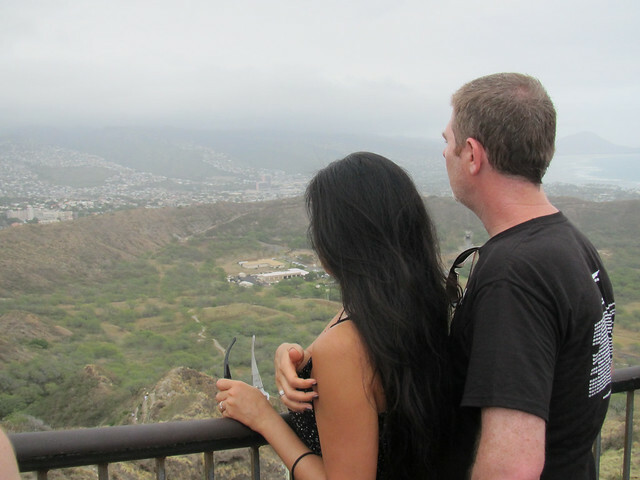 We decided to hike Diamond Head, which is a touristy thing to do but hey we are tourists and Jeff or Glenn folks have never been. 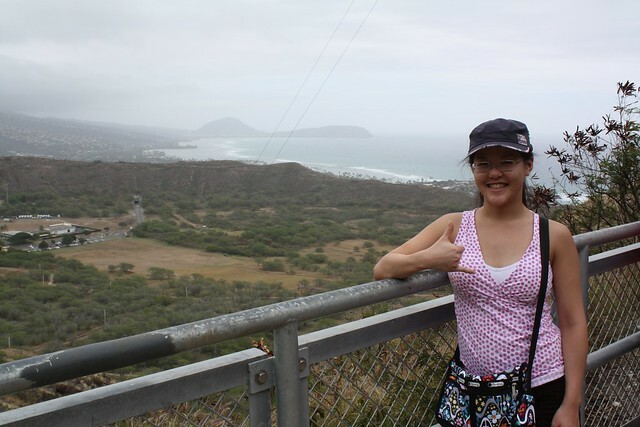 Weather was a bit “voggy” from the volcanoes on the Big Island so visibility was not as great as it could have been but still decent. 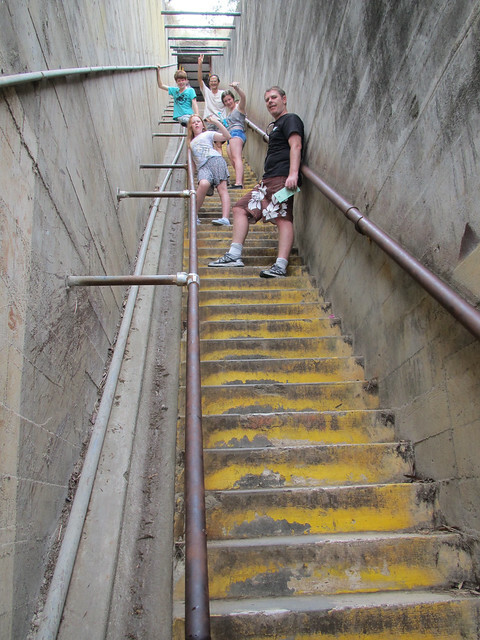 It’s a relatively easy hike. Half paved, lots of stairs. Even saw one Japanese tourist do it in heels. It was overcast so not too blazing hot. 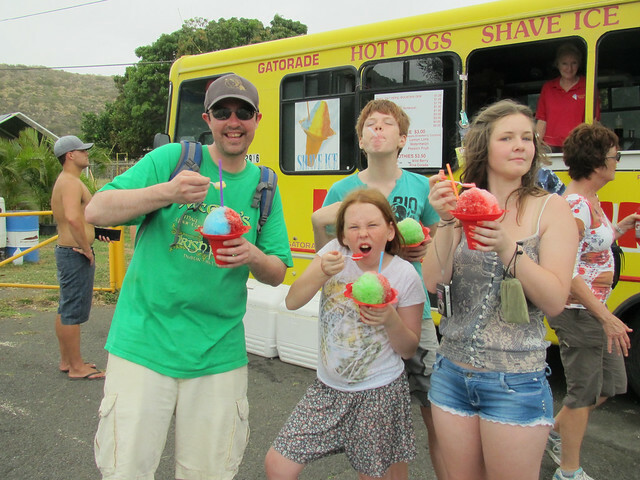 After the hike Uncle Jeff treated the munchkins to some shave ice. (we never got a chance to go to Matsumotos! Booo). And after that we all headed to Buca di Beppos for dinner. 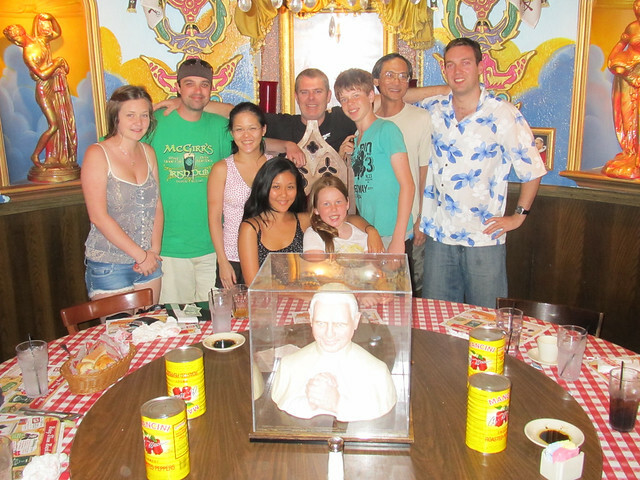 They sat our party in the pope room! We ordered a couple pizzas, couple pastas, salad and calamari. We found a photo booth and tool some pictures. It was a cool hip booth cuz u could upload your pic instantly to Facebook and even view a video of it.